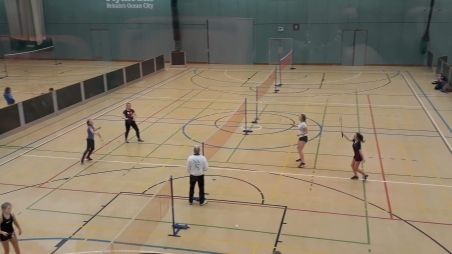 Congratulations to our six badminton players who were brave enough to face their first badminton tournament at the Life Centre last weekend. They came up against experienced club players, held their own and did themselves proud. Rosie and Lucy came2nd, Keeley and Ellie came 3rd and Bridgette and Holly came 5th in the under 14s doubles competition. 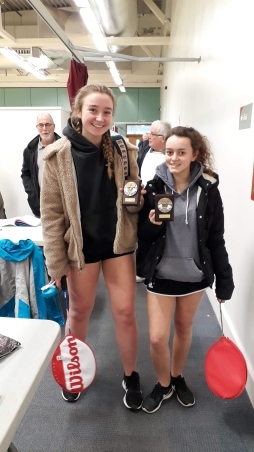 In the under 14s singles Bridgette came 2nd in group A and Holly came 3rd in group B. Holly was also awarded the merit trophy for effort and attitude on court.